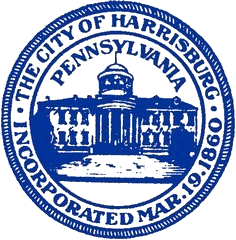 Persons desiring to do business in the City of Harrisburg are required to obtain a business license and pay a tax on gross receipts. These Regulations provide a formal interpretation of the City of Harrisburg’s Business Privilege and Mercantile Tax Ordinance (Codified Ordinances Chapter 5-715) and establish procedures for its administration. The Tax Ordinance is attached and set forth as Addendum “A”. These Regulations are adopted pursuant to authority set forth in Chapter 5-715, SECTION 5-715.9 of the Codified Ordinances, and shall be interpreted, whenever possible, to be consistent with the Tax Ordinance. In the event that a provision of these Regulations is inconsistent with the Tax Ordinance, the provisions of the Tax Ordinance shall prevail. THESE ARE REVISED REGULATIONS. THEY ARE EFFECTIVE AS OF 12:01 AM JANUARY 1, 2002. ALL PREVIOUS VERSIONS OF THE BUSINESS PRIVILEGE AND MERCANTILE TAX REGULATIONS ARE VOID.